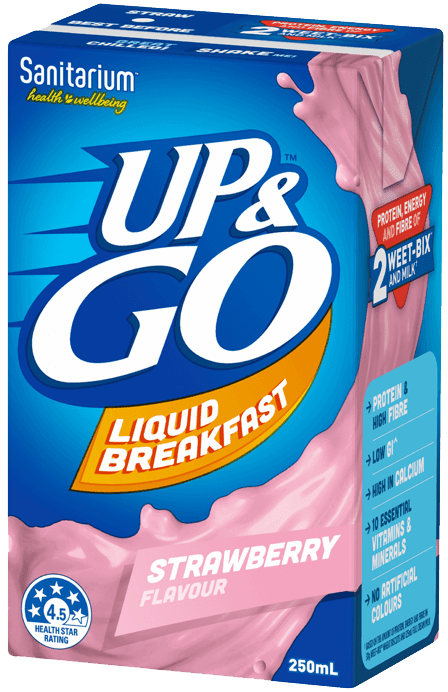 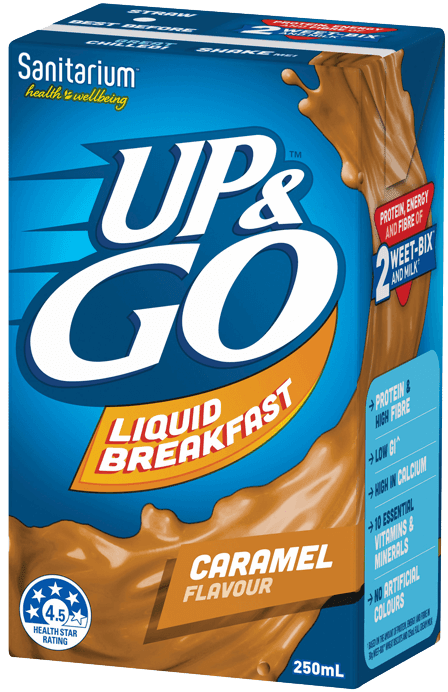 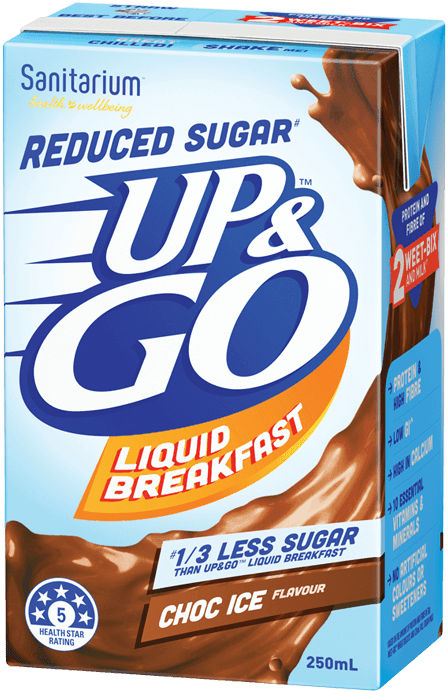 UP&GO™ 500ml bottles is for those wanting a larger serving size for the right type of energy! 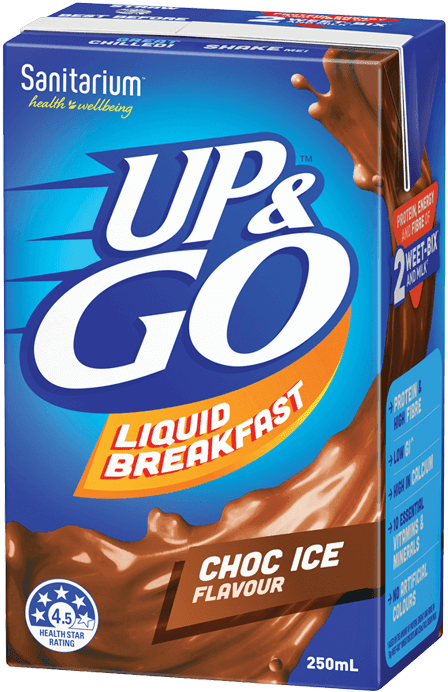 With protein, fibre and low GI^, you'll have the right type of energy to make the most of every moment that comes your way. 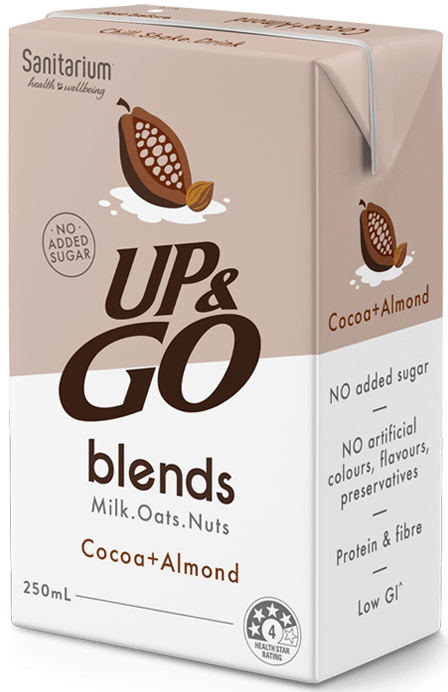 The HSR of a product is based on a calculation that considers the amount of energy, saturated fat, sugars, sodium, protein and fibre in a food, along with the fruit, vegetable, nut and legume content. 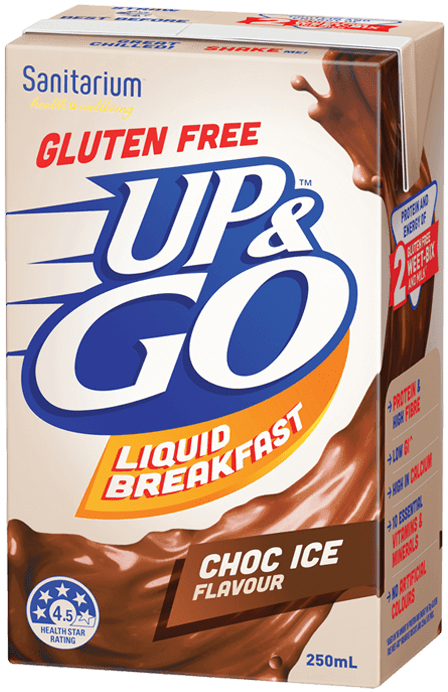 Filtered water, skim milk powder, maltodextrin (wheat, corn), cane sugar, vegetable fibre, soy protein, vegetable oils (sunflower, canola), fructose, oat flour, mineral (calcium), acidity regulator (332), flavour, vegetable gums (460, 466, 407), stabiliser (452), salt, vitamins (C, niacin, A, B12, B6, B2, B1, folate).